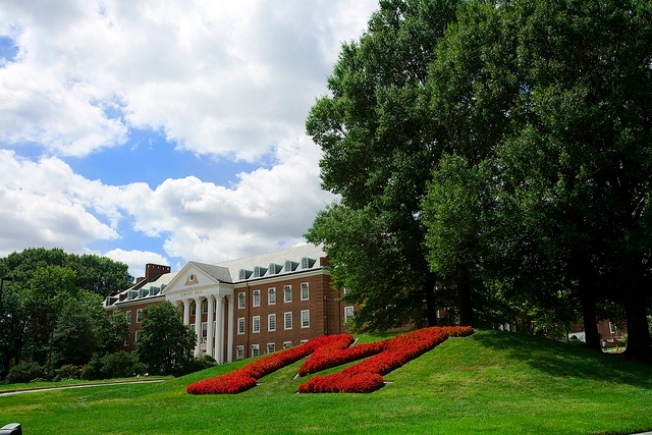 The "M Circle" at the University of Maryland, College Park. Students, faculty and staff at the University of Maryland, Baltimore, are getting a chance to discuss a proposed merger with the university's College Park campus. A town hall meeting on the merger is scheduled for noon Friday in Baltimore. UMB president Dr. Jay Perman will host the discussion. Perman has expressed reservations about the merger, saying it could harm Baltimore if the university's leadership were to relocate to College Park. A bill to combine the campuses is pending in the General Assembly. Supporters of the merger say it would lead to a closer partnership and more innovation. The state university system's board of regents hasn't reached a consensus on the proposal.